An open floor plan and lots of windows will be the look for all Lapels starting in 2019. HANOVER, Mass. 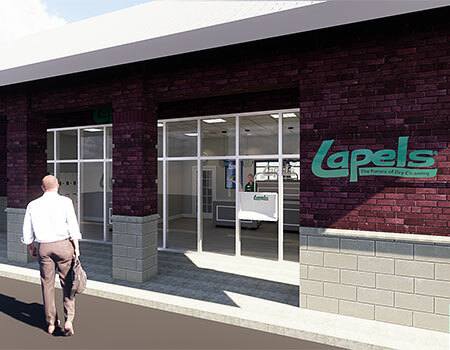 — Lapels Dry Cleaning, self-described as “an innovative, environmentally-friendly dry cleaning company,” recently unveiled a new look for its drycleaning stores and plants, it notes. Its new franchise locations and renewing franchise locations will adopt the new look in 2019, it reports. 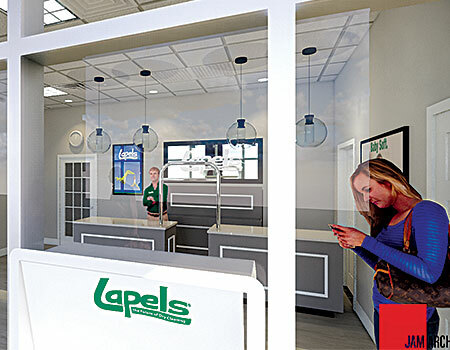 “Over a decade ago, we led the charge in building a boutique-like call area to really help make a statement when guests entered our store,” says Kevin Dubois, CEO of Lapels and co-author of Entrepreneurial Insanity in the Drycleaning Business. “Today,” he continues, “we’re taking the next step towards elegance that is pleasing in not only all parts of the U.S. but other countries. The new look of this firm, it points out, “features an open floor plan with plenty of windows for natural light. Gone are the hardwood floors and wood-finished counters, replaced with slate-colored tiles on the floor, with the walls painted the same shade of gray. The look goes beyond pure aesthetics and includes new and improved functionality, the firm relates. One of those is a drop-off area for 24/7 service. Most importantly, the company adds, customers will be able to access that part of the store before, during and after store hours, from a separate entrance. In an alternate design and option, its stores will have a 24/7 locker room and drop-off for 24/7 access. The exterior will also undergo an upgrade, it notes, with full-length windows for the store front. The new store front will also feature areas for curb-side pickup. In the future when existing stores are remodeled, they will also adopt the new look and feel, the firm reports. “In the past year or two, we have entered several new states — Texas, Michigan, Tennessee, to name a few,” says Dubois. “The timing for this new look could not be better as we continue to expand from our New England headquarters and establish ourselves from coast-to-coast and with international locations,” he says. Lapels Dry Cleaning currently has plans to enter several new states, including New York, North Carolina and Illinois, it adds.